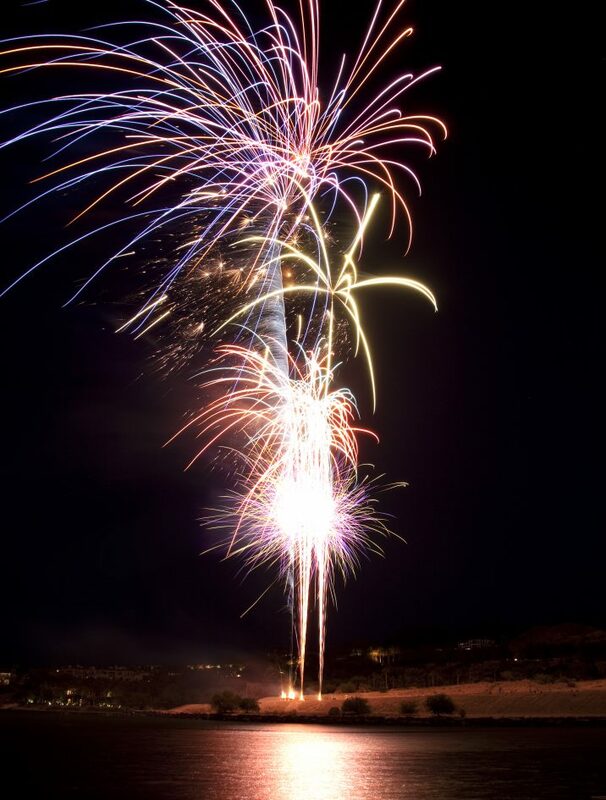 We watched the Independence Day fireworks in Lake Las Vegas this year. We knew a great semi-secret spot right on the water, so we had a great vantage point for the kids enjoying it and me taking photos. Good times!